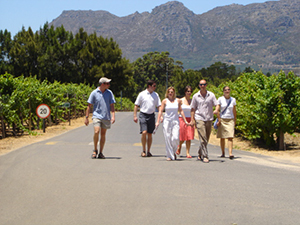 Cape Wine Tours Options and Ideas! All of our wine tours aim to introduce you to the Cape’s wine regions – its wines, its history, its beauty and its gourmet delights! The tours are all private tours and as such they move at your pace and can be chopped and changed to include your interests. The below ideas are just starting points providing inspiration for your day tour! It is best to do wine tours from Monday to Saturday. 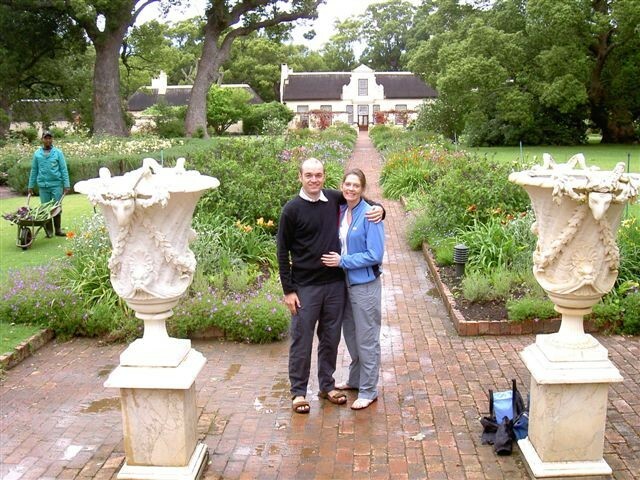 Note that this tour can be combined to make a full day with a combination of a city tour or after Cape Malay cooking or one can do: City + lunch in Constantia followed by an afternoon of wine tasting. Constantia was the estate of Simon van der Stel – one of the earliest Cape governors. Simon was very passionate about wine and wine making. As such he settled the area of Stellenbosch, Paarl and Franschhoek. His rightful place in our history is that of the father of South African wine. Groot Constantia – this estate was established by Simon van der Stel and is well worth visiting to walk around the traditional Cape Dutch homestead and to stop for a cup of tea under the oaks. A visit here should be the start of your journey as it gives you a great perspective into the history of the region. This is the estate that made the sweet wines of Constantia famous around the world. Klein Constantia – is most famous for recreating the famous sweet wines of Constantia and launching it as Vin de Constance. It is well worth a visit to try this desert wine as well as their delicious sauvignon blanc and cab sav. Buitenverwachting – simply driving into this estate is a treat – it is breathtakingly beautiful. I am a great fan of their sauvignon blanc as well as their red blend Christine. Steenberg – this estate has the most dramatic tasting room in the area. It has been designed to impress with a beautiful large contemporary chandelier as the focal point. Steenberg is most famous for its award winning sauvignon blanc. Note that the restaurant at the tasting room is gorgeous and offers contemporary bistro dishes in a funky contemporary setting. In the late afternoon it is also fun to pop in here for tapas and drinks. 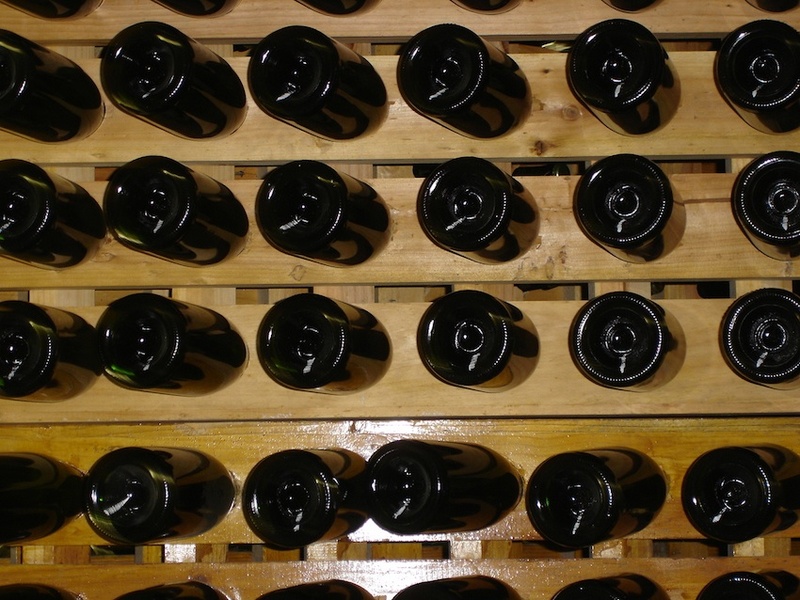 High Constantia – is a small boutique winery offering a top champagne as well as a large variety of interesting reds. I would highly recommend a visit. Constantia Glen – boasts the best reds of the valley (in my opinion! ), also the best view of the valley and a really quaint tasting room with knowledgeable and friendly staff. Well worth a visit!! Note that Constantia is a foodie node in our city and boasts quite a few excellent restaurants – as such I would recommend pairing lunch in the area with a wine tour. Check out my restaurant list for choices. 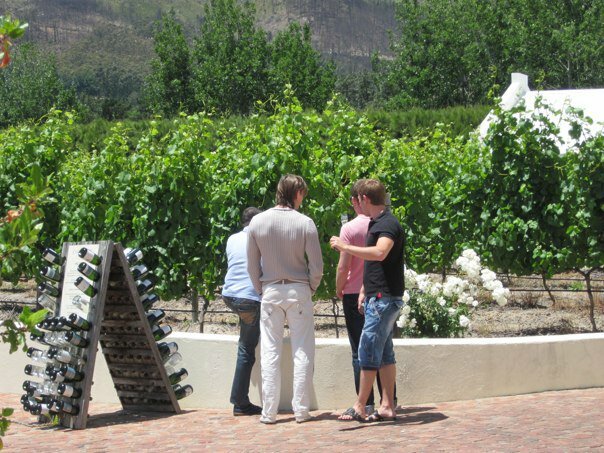 A tour that takes you to a secret off the beaten track wine valley – known as the Riebeek Valley. Which one should I chose? university town which has a mixture of Dutch and English architecture. Today it is a university town and has a fantastic shopping area, little cafes and loads of pubs. Franschhoek on the other hand is tiny. It is the gourmet capital of the country and you will leave with a list of restaurants that you have not tried – but will need to return to experience. One of the highlights of today’s tour is a visit to Morgenster wine estate. This estate is owned by Guilio Betrand – an Italian. Mr Bertrand decided to retire on this estate – his friends however kept telling him he was mad to not plant trees for olive oil here. 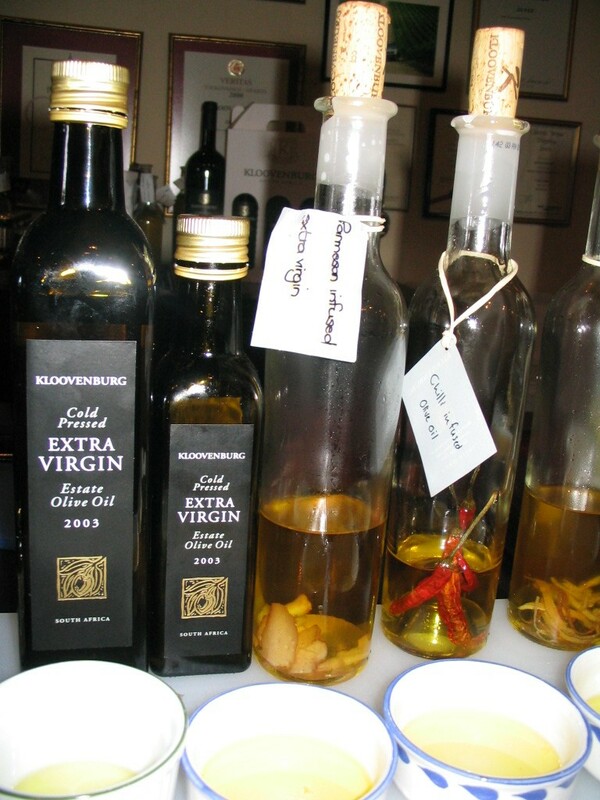 Bear in mind that in South Africa fifteen years ago we were not really consuming olive oil. During apartheid we were cut off from the world and as such our dining habits remained cocooned from world trends. As such there was no olive oil industry in this country, just a few pioneers that had started experimenting. Mr Bertrand decided to bring in the experts from Italy to do tests on the soil, climate etc. The advice given to him was that he would be crazy not to proceed with planting olive oil trees as the conditions were absolutely perfect. Morgenster would become the pioneer of the industry. Today they are still known as the experts and have an open door policy for advice to anyone going into the industry. They also have a nursery and planting service. 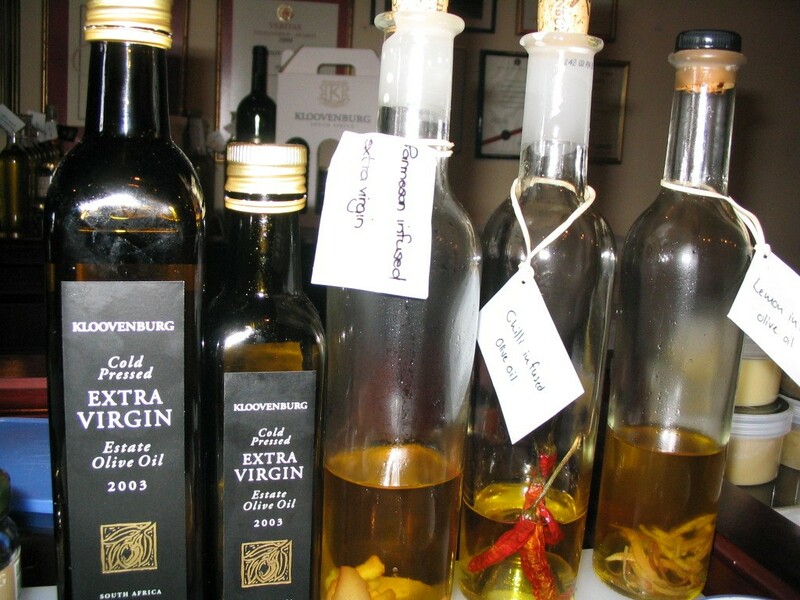 Morgenster has walked off with awards from Italy for the best blended olive oil in the world and win at nearly every competition they are entered into. 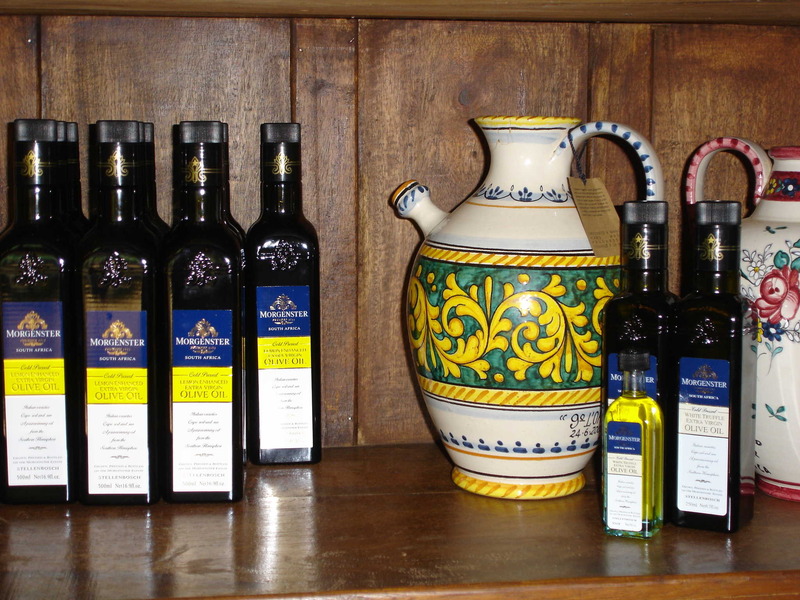 When you visit the estate they do a presentation on the history of the estate followed by a tutored olive oil tasting. This is definitely not for the faint hearted. Yes, you need to actually smell the nose like you would with wine and then brace yourself and sip the oil. As with wine, you need to consider what the first taste was and what the effect was! The effect of a fresh oil is that it will make you cough – seriously! The fresher the oil the more you cough. We taste 5 oils, before moving on to taste their olives. For those that have only bought olives from supermarkets, you are in for a surprising experience. These guys cure their olives in salt, the same way the Italians do. This process takes about a year. Mass producers find that a year is too long and adds to the expense. As such they will use all sorts of weird and wonderful ways to soften the olive and decrease the time line. 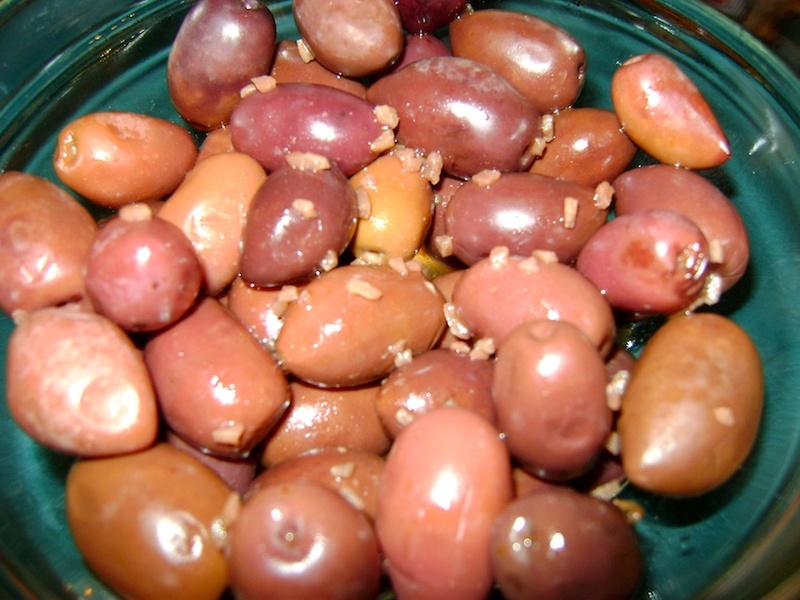 The result is often a soft or mushy texture to the olive – which is not a good sign! Once you have devoured the platter we move onto tasting their award winning Bordeaux style red wines. The rest of our day is made up of your interests – tell me what you like, do you enjoy red wines, white wines, history etc. My focus is always on small farms and passionate wine makers. So no, unless you are into big commercialized wine farms – we will go nowhere near them and the big tour buses! We head out of Cape Town and into the Riebeek Valley. I call this valley my secret as very few foreigners have found it. In fact ask the locals and most have not heard of it either. As such at each estate you are likely to not come across anyone else visiting unless we are there on the weekend. Our first stop is at Kloovenberg estate. This estate was one of the first in the valley and dates back 300 years. It is owned by Pieter Du Toit. 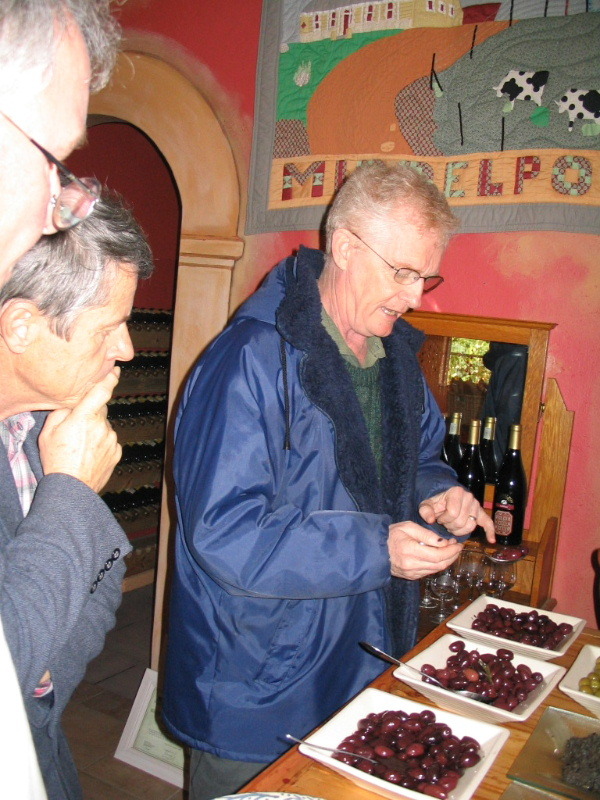 Pieter focuses on making wine and shiraz is his passion and his wife focuses on olive products. Some of her products include: olive oil, olive jam, dried olives, olives marinated in blueberry dressing, olives marinated in rosemary, various tapenades, olive soap, olive creams …….etc. From here we would move onto the Olive Boutique to visit Mike & Margie Meredith. They do a talk on the olive industry in the country and explain the process of making of olive oil. They are just simply mad about olives and as such also have an extensive range of products that one can try. Another secret of the valley is that it has attracted a large number of “foodies” and as such it boasts some marvelous gourmet country restaurants. I think the city slickers decided to opt for a more simple life in this beautiful valley and as such there was a huge rise in the house prices as many people moved into the area over the last 5 years. As such it is essential that we stop for a lunch in the valley…………..so make sure you do not fill up on all of the olives. 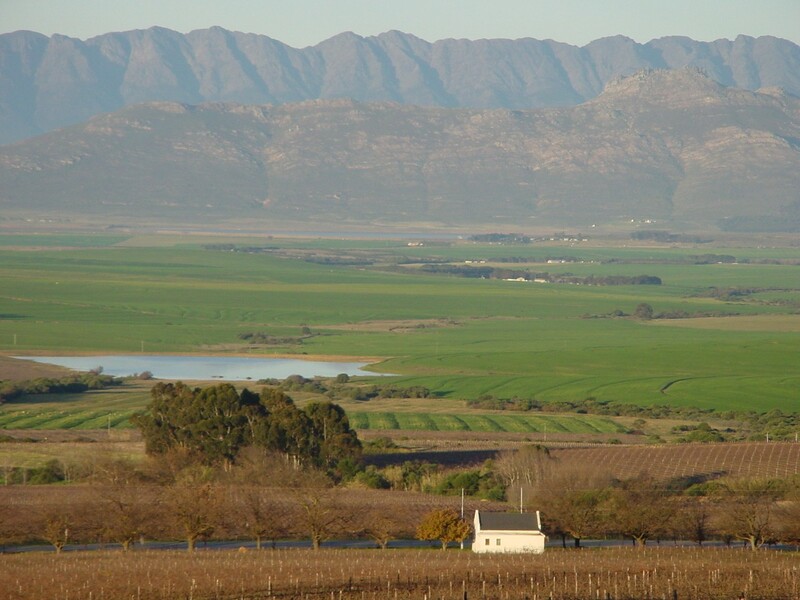 The Riebeek Valley is made up of two towns – Riebeek Kasteel and Riebeek West. In Riebeek West one finds the estate Allesverloren. Allesverloren is home to one of South Africa’s best loved ports and also make an interesting assortment of red wines from port grape varietals. We will definitely stop for a port tasting after lunch. The rest of the day is time dependant as to whether we can fit in another stop on the way home……….it depends on how long you have stayed at each place and whether you have had a long delicious lunch! Note that this tour is best on a weekday and that on Mondays nearly all the restaurants are closed – except one! This tour is for those of you are just quite simply mad about champers! Of course many of the estates we visit do not only do champagne – as such you will get to experience some of the wines on offer in the Cape as well. Note that in the Cape we cannot call Champagne, Champagne! As such we call it Methode Cap Classique in order to differentiate it from the Sparkling wine! A cellar tour and tasting at The House of JC Le Roux. 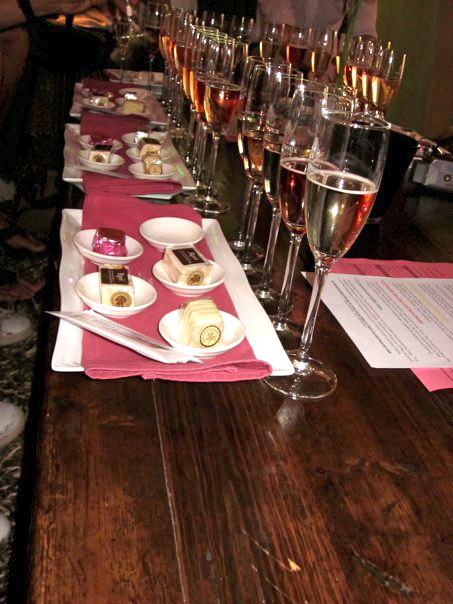 Here the tour ends with a demonstration of sabrage and you can do either a nougat and champers tasting or a sorbet and champers tasting. A tasting at Simonsig wine estate of their Kaapse Vonkel – this was the first “proper” champagne made in South Africa. Note – there will only be time for ONE cellar tour during the day and that we usually manage to get to at least THREE estates during the day – the pace depends on how fast you consume the bubbles and also how long you relax and enjoy lunch in our delicious wine region.